Faculty and staff are encouraged to join UE100 students at one of several hour-long A.L.I.C.E. (Alert, Lockdown, Inform, Counter, Evacuate) active shooter response training sessions next week. The A.L.I.C.E. program is a proven method in which students can react to someone who brings a weapon into a classroom. 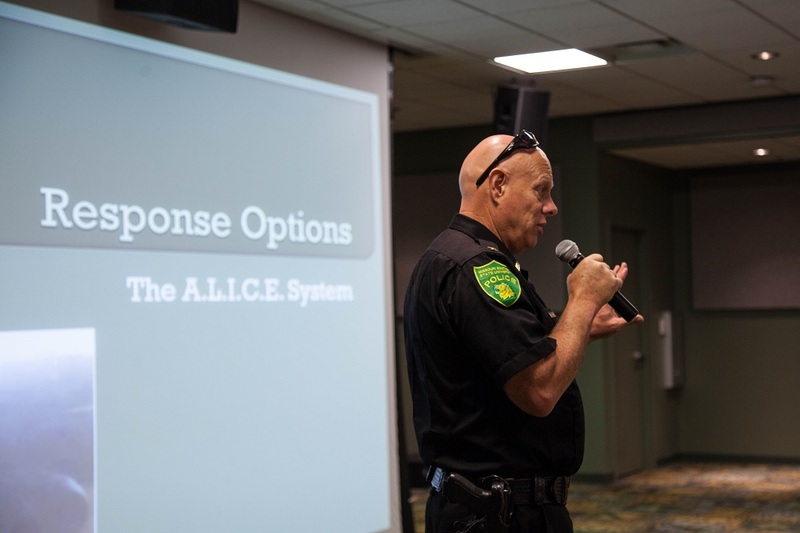 Since most first-year students receive this training, it would be prudent for faculty and other MSSU personnel to also be aware of the A.L.I.C.E. method. Time: Every hour on the hour, 8 a.m. to 1 p.m.
Time: 8 a.m., 9:30 a.m., 11 a.m. and 1 p.m.
Come learn how to protect yourself during an attack by an armed intruder. Contact HR Training at HRtraining@mssu.edu to reserve your seat today!